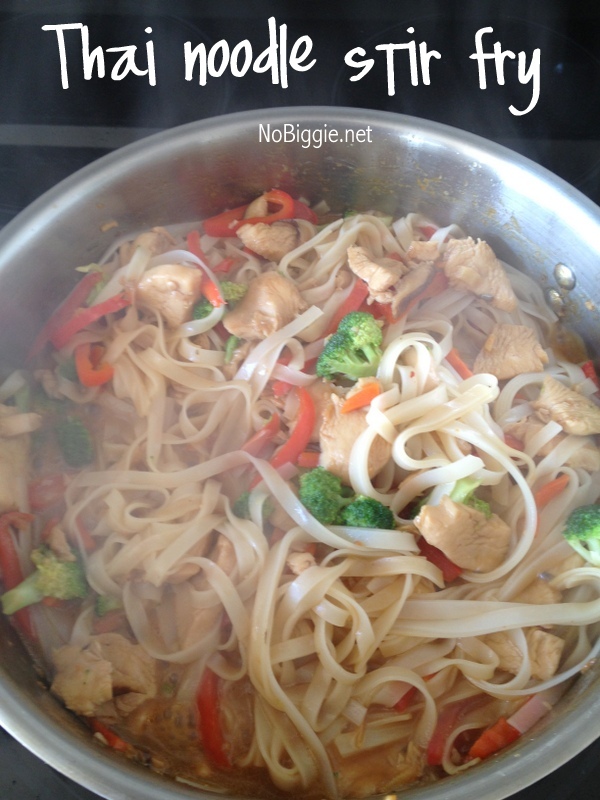 Thai Chicken Noodle Stir Fry makes a great one pan weeknight meal. We eat a lot of chicken at our house, and I’m always looking for great recipes with chicken to add to our rotation. Anything with noodles is always a hit with our kids, and if I can get some veggies in there too, it’s a win-win. 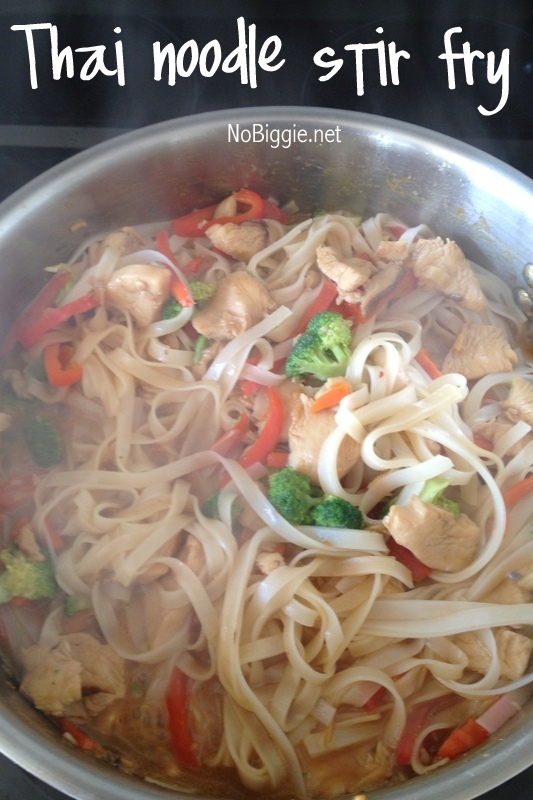 This Thai Noddle Stir Fry is everything in one delicious pan! Great way to get kids to eat the veggies too. 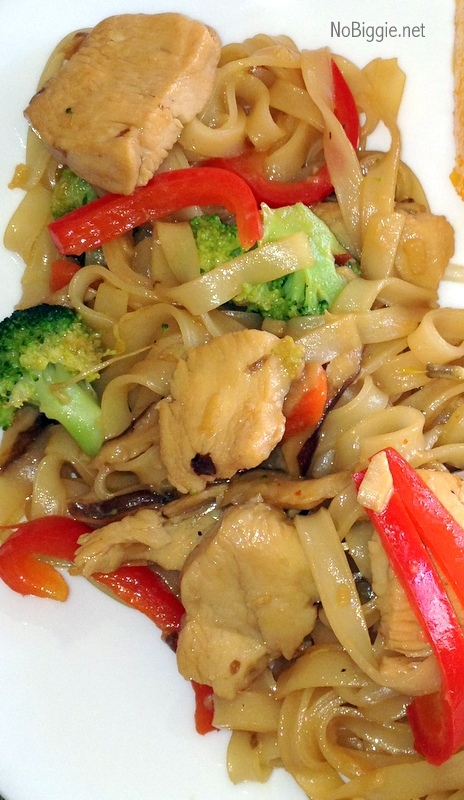 We loved this thai noodle stir fry, and I think your family will too. 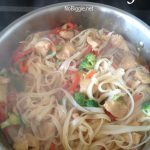 Thai Chicken Noodle Stir Fry loaded with lots of veggies is such a delicious one pan meal the whole family will love. 1 tsp. Thai chili sauce or ¼ tsp. cayenne pepper or more to taste. Mix 3 tablespoons soy sauce with the cornstarch. 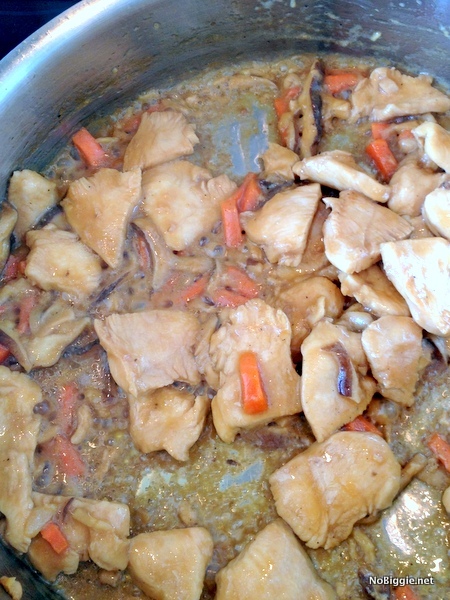 Stir in the uncooked chicken pieces and set aside. 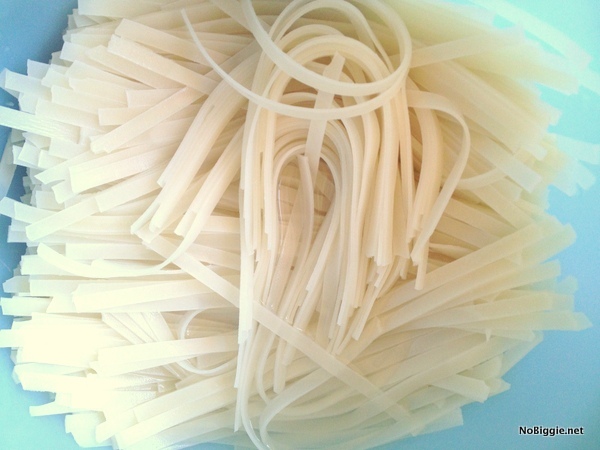 Soak rice noodles in a pot of hot water per directions on the package. Drain. They will finish cooking in the stir fry. 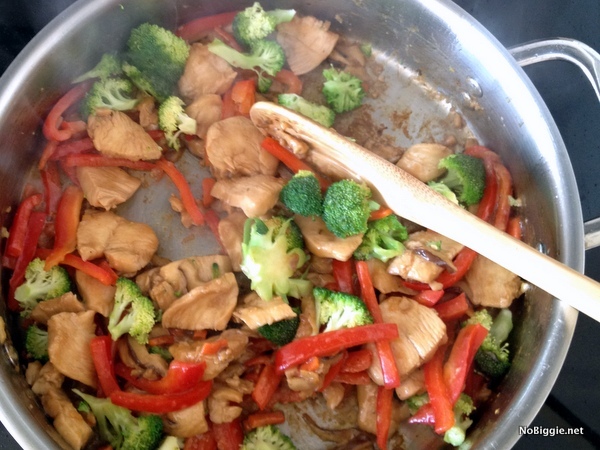 Combine all stir-fry sauce ingredients in a small bowl. Set aside. 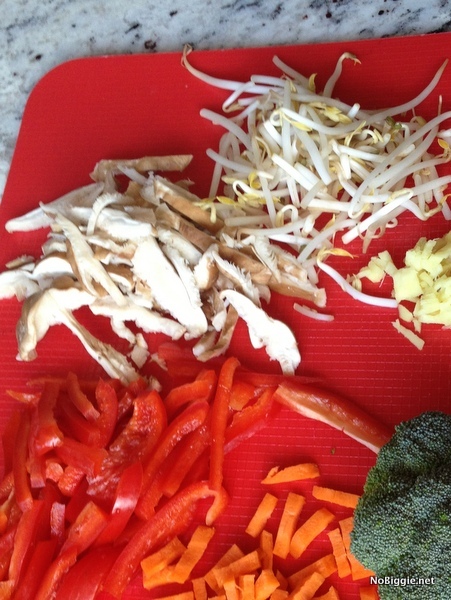 Add red pepper and stir-fry another 1-2 minutes. Add the noodles, then stir in the stir-fry sauce. Add bean sprouts, continuing to stir-fry another minute. You may want to add some lime juice after tasting. This recipe serves 3-4 people. I hope you try it! Have a great day! YUM! THis looks so delicious, pinning!